When we first moved to Central Oregon and were meeting new people, visiting churches, and having families over for fellowship to get to know them, I realized something about myself. I didn’t want them to know I was a blogger or an author. I was scared it would negatively effect the authenticity of the potential friendship. Meaning, I didn’t want people to be intimidated and I didn’t want people to be attracted to having a friendship with me because I blogged and they always wanted to. I wanted authentic friendships, where people got to know me, and my family for WHO we were, not what I wrote. It’s hard to get to know people when they can simply read your blog and know more about you than you do about them. You don’t know what they know, and you don’t want to repeat yourself. I just felt it was more natural and less complicated if people didn’t know. But then, as time went on, I realized that I wasn’t truly embracing a huge part of who I am, and that as time went on, them not knowing felt like they didn’t know a part of me that IS who I am. For the first few months after we moved, I didn’t have any activity on Facebook regarding writing. In fact, you might notice that for about a year and a half, I don’t ever really post anything about Redeeming Childbirth and the exciting things God is doing in that ministry and with that book. Simply because I don’t want it to seem prideful. People are so judgmental these days, and I don’t want to tempt them to sin… against me! 🙂 So I just don’t post about it, although it is exciting to see what the very near future holds for expanding this ministry! I lie awake, trying to go to sleep and the thoughts I need to get out, just keep going through my mind over and over again. And I realize this is one of those blog posts. It’s getting in my way of focusing on other things I really need to work on. Distracting me, tugging at my heart. I see something around me in women. I first noticed it a decade ago, because that was when I felt it personally. And I have been trying so hard to process it ever since. It’s this pressure to blog. Can I just say right now, you don’t have to be a blogger to be my friend! You don’t have to write, be a speaker, or be a stay-at-home whatever. You don’t have to homeschool or even have kids to be my friend. Man I just opened a can of worms with that one liner. The Point is: Just Be You! Disclaimer: I truly, from the bottom of my heart am not writing about any of my amazing friends that I love and hold dear who are bloggers. I appreciate you! I believe in the call to write, to be on purpose on social media, which you can read my mission statement in a few posts back. I am writing this because this has been an issue I have personally dealt with and noticed is a growing issue among women today. Have you felt it? The tension, to fulfill everything the culture and others put on you? What about the pressures and expectations you put on yourself? Do you have friends who are bloggers and feel the pressure to start one yourself? I remember feeling it, the pressure to blog when it was just becoming the popular thing to do. I literally remember thinking to myself, if I don’t blog then maybe my friends who are blogging will begin to think we don’t have enough in common to be my friend. I remember reading a friend’s blog, and seeing all kinds of comments from people I didn’t know, and her engaging with them. I felt jealous. I wasn’t jealous for the attention of the others, but I was jealous of the attention of my friend. I felt distant. I missed her. And I thought, if I don’t blog, then she won’t see what is on my heart, and then we will grow farther apart. I felt like I was losing her. That is NOT a good reason to start a blog. Starting something motivated by an issue in a friendship, like feeling lack of connection, or sin like jealousy is never a good idea. Do you feel like you have so much to say and you need a way to express yourself, so naturally you want to start a blog? Can I ask you, why do you want to blog? How do you feel when you meet someone, start hanging out, and then find out they have a blog? Does your view of them change? If so, how does it change? Listen sister, I feel the pressure. I see it among so many women. Blogs are popping up every day. We all have an innate desire to be deeply known and understood. And being at home with little ones can be a nesting ground for discontentment. Now, don’t get me wrong, I don’t want to portray motherhood as boring, because it is the farthest thing from it. I love being a stay-at-home-wife & mom, but sometimes the enemy can use the lack of appreciation for stay-at-home-moms, which our culture is full of, to feed discontentment and desire to make something more of ourselves. We may think that our intentions are pure and that all we want, is to contribute, to do something that makes impact. But in the midst of it, are we doing it for the right reasons? In this post I am going ask questions to get you thinking and evaluating if your desire to start a blog is out of a calling, selfish ambition, or if it is out of pressure/expectations, or even simply looking for value through affirmation from other people, instead of growing in a firm identity in Christ. Do you believe that by blogging you will finally be happier, less lonely, and satisfied once you have X number of followers? Trying to fulfill the emptiness, or loneliness, or discontentment that is in one’s heart with blogging is not a good reason to blog. The enemy doesn’t want us focused on our homes. He wants us distracted. We absolutely need to be careful not to fall into his traps. They are deceiving. They may look pretty and good, but we need to really ask ourselves why we want to blog. Are we trying to fulfill something in our identity that is missing? List 3 reasons why you want to start a blog? Women who are stay-at-home or work-at-home moms, especially CRAVE community, right?! I am not going to lie. I love community. I thrive in it, but the enemy uses the idea of automatic community through blogging as a trap for women. Just so you know, blogging itself is actually pretty lonely. Ask any blogger. Being a writer, is a lot of work, sitting behind a computer, by yourself. It consists of hours of writing, sometimes hours of research, all to then let it sit in the draft box for 2 years until you delete it. It’s not always like that, seriously. But I think it is easy for women to have an idealistic perception of blogging, and then get discouraged, because it isn’t really all we thought it would be. Blogging doesn’t create automatic community. You have to build it, just like you would in real life. For another behind the scene post on blogging read, Dashboard Stresses and you’ll know what I am talking about. Side note: Blogging can be an avenue that God uses to bring amazing friends into your life. But, it doesn’t always happen right away, sometimes it takes time. It’s just like moving to a new town, you have to work at building community. Some of my closest friends are in fact women who blog. We do have a special friendship in that we get what each other are doing. It’s similar to going to work or serving in a ministry role together at church or in an organization. 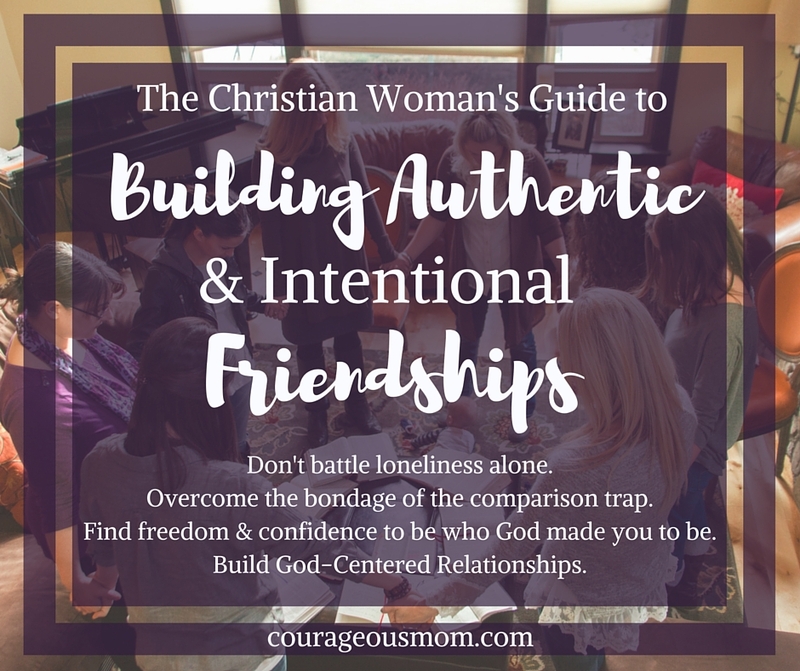 When you find like-minded bloggers who are doing what they do on a mission, you are able to support and encourage one another in ways other friendships don’t. But it is the same of non-blogging friendships. I have to share with you, that there have been many times I have contemplated quitting. Just for the principle behind it. I felt like I wasn’t being a good model to others by blogging. A few years back, whenever I would speak at a moms group, it never failed there would undoubtedly be 2-5 women that would approach me to talk about blogging, saying, “I have really been wanting to blog.” And it’s always interesting when another or a couple hear the first gal say that to me and then the others fall in suit. I just want SO badly to ask them how old their babies are and then urge them to really pray about it with their husbands before they jump in. It’s the same warning I would give a young mom about getting too involved in ministries at church. We need to be aware of the seasons of a woman’s life and be watchful of our heart’s wandering away from where God wants our focus to be. I am almost quit speaking and blogging all together because I recognized that I had a ton on my plate, and I really wanted to be an example to other moms and choose to Just Say No during a season of intentional child raising. But I never felt God’s peace in those moments either. I haven’t shared my testimony of how I stepped out of 6 ministries in one day here yet, but what you should know is that, I had made that sacrifice before in the most hands on season in my family’s life. I chose to say no. So for me, I really had to discern if what I was feeling was from the Lord or a lie from the enemy trying to discourage me out of doing the ministry I felt God call me to. And you should know this is still something I hold open handed. Continually giving it back to God, sometimes begging Him to take certain cups from me. Blogging is a decision we each need to make personally in prayer. No one can make it for you, because blogging is personal. None of us can judge whether or not blogging is right for one or another. But we should be encouraging one another either way! And thankfully, I had this cheering fan, called my husband, and more called my children, who would say, No, mom, you can’t quit! There is so much you can share with other moms. Ultimately, we never know how God will use blogging in another’s life and we need to be an encouragement to those who are bloggers, but are struggling. There is a fine balance between thinking everyone should blog and recognizing the beauty that is in the diversity of gifts, callings, and acts of service within the church. I know that this statement comes at a time that might seem confusing, but my point is that, we need to be aware that we are not God and do not know His unique path for everyone. We need to support one another in the things we are all most interested in. And be especially careful not to impress into others a one way attitude about how it should be done. So, how did I find balance between blogging, friendships and family life? Well, I tell you, it isn’t easy. But those who know me well, know that my heart is to bless others. I don’t write for fame. If I did, I could choose to be very controversial, but because my heart is to speak life, and write something worth reading, my close friends are in support of me blogging. I have had to make very clear boundaries in my relationships during certain seasons as well. I have had seasons where I could blog more frequently, and others where I had to take a longer sabbaticals, because for me, God, marriage, family, and real life relationships come first, and sometimes, I just don’t have anything left. But I have learned to be ok with that. The problem occurs for women when the enemy deceives us into doing something that is really going to enslave us and distract us from our greatest calling in our homes. I am concerned for all the young moms, that are flying all over to blogging conferences and contributing on all kinds of sites, because for some of them, it might not be the best season to do all of that. I don’t judge, because I know from personal experience that every marriage and family situation is different and God calls us individually to certain callings, and sometimes for specific seasons. My point isn’t to make you feel judged, I am just bringing up a concern I have for sisters in Christ who in a season in parenting, just behind me, because I know just how busy it was and how it demanded most of my undivided attention. When your children are young, they need structure and consistency with many things, including discipline, and if you are distracted or unable to focus on them, it will effect your relationships with your children. I have learned just how fast time flies bye. My oldest is in high school and youngest preschool age. And I am so glad I didn’t try to write when they were little. But life is still SUPER busy now. It’s just different because I don’t have nursing babies and I do have older kids able to help more. And actually all of them work and things get done pretty quick around here when we work. It’s just a different season. You can’t compare the two. Now I have late night teen talks, which I love, but my point is that I am not getting any more or less sleep than before. An Encouragement to Those Who Don’t Blog. Sister, you don’t have to blog to be respected, loved, known, or cared about. You don’t have to try to do something because every one else seems to be doing it. I just want you to know, that you are valued. Some of the friendships I value most in my life and have over the years are NOT bloggers or writers. They are just like me. They are real women, loving Jesus, serving their families, and doing their best. We screw up a lot, we talked about it with each other, and pray for one another, and we love each other more because it’s real, and we need each other. And though I love writing and I hope my dearest friends do read what I share, because I write what is on my heart, I know that they love me for me, not what I write. AND, I know they love and support me when I am on a mission. We are each other’s biggest fans, supporters, and cheerleaders, because we are sisters. Choose to be aware of one another’s different gifts and talents and appreciate them. Lastly, I don’t expect you to blog, because I would hope and pray that the family God has placed me to be in community with is as diverse in their gifts and talents as His Word describes it to be. I genuinely, acknowledge and appreciate the truth in His word that He disperses the gift among the Body for the edification of all. If we all were eyes, how would we ever get another done? If we all were bloggers, well, you fill in the blank. So I hope you don’t take this whole blog post and dump it in the trash. I pray it is an encouragement to you and challenges you to be aware of the loneliness or pressures some of your friends might be facing today. They may be feeling less than because they don’t blog like you do. In which case, I urge you to make sure you edify your relationship with them. Speak their love language, do something to make them feel loved. Treat Others the way you would want to be treated. Talk about what makes you feel most valued and ask others. People to often assume they know someone just from getting to spend time with them a few times, but in reality, unless you ask questions, you don’t really get to know them. So be careful not to misjudge and assume someone feels valued the way you do. I’ll give you a glimpse into my heart. My love language is Words of Affirmation. So leave me a comment and let me know what you think, how I can be praying for you, or how this post could have been better. I just love hearing from you! Or let’s connect on Facebook! Lord, I pray that you would help each of us to value one another’s gifts. That we might not think so highly of ourselves that we think everyone should do what we do. Help us to see value in others and appreciate them. Reveal to us ways that we have been selfish in our friendships and how we can really be an encouragement to one another. I pray also for my sisters who have been struggled with the thought of blogging. Lord, make you will for their personal life clear to them, guide them. Help them to surrender their desires before you and be willing to hear whatever it is you are calling them to hear. Amen.